Knocking down a wall and need a beam? Want to make sure the skeleton of your build can bear the brunt? Looking for a beautiful and affordable option? If you are seeking an alternative to F.17 hardwood for your structure then our LVL products are for you. With our precision engineering we guarantee consistency, strength and peace of mind. 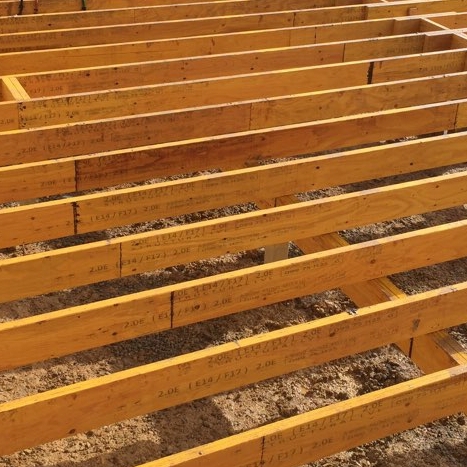 We ensure the most effective use of your materials and time by supplying quality LVL timbers in various widths at any length you require. Do you deliver to country areas? We can deliver to most anywhere in Victoria as well as interstate for large orders. If we can't accommodate your delivery ourselves we can deliver to a transport depot that can safely get your timber from A to B.